This has been a very busy weekend with pattern writing! 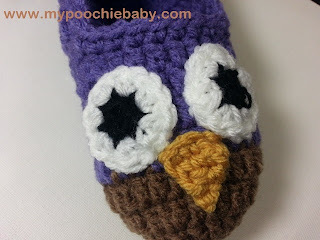 I posted two new patterns for sale yesterday and I am starting on a completely new project today. I am feeling inspired! I just adore this new pattern for women's or teen's slippers. Of course I turned these slippers into "owl" shoes. You can never have too many owl accessories. The pattern is now available for sale on Craftsy, Ravelry or in my Etsy shop. 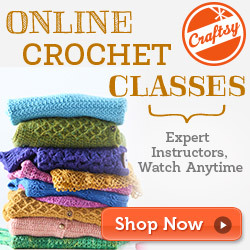 If you are a Craftsy member, please choose them as your purchase site. If you are not a member, it's free to join and well worth your time to check them out. They have all types of patterns and classes in many different craft areas. 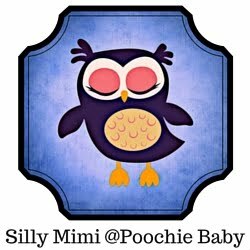 Don't forget to follow Poochie Baby on Google+, YouTube, Facebook, Twitter, Instagram and Pinterest.